Disney, Disney, Let Down Your Hair! Seriously. Just let it loose. 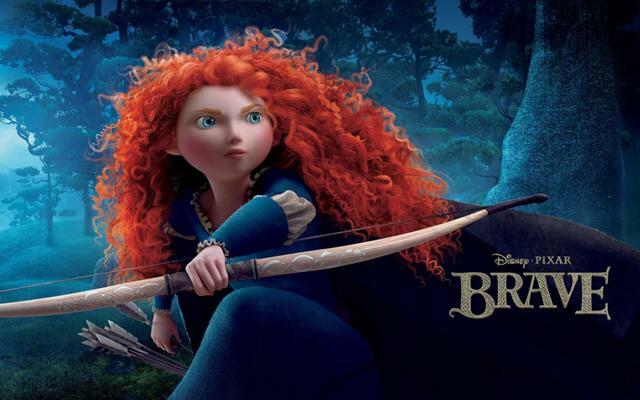 Merida had an unruly mop of red hair. Snow White’s hair style has since moved far from the short pixie-bob. And Elsa pulled her bun out to let the braid cascade in one side over her shoulder. Disney’s heroines are letting go of their inhibitions and rising to the challenges in a new era of fantasy film making. And they are fast becoming epic. Usually I do book reviews on my Corner Cafe, but my recent splurging into high-tech, computer-animated Disney musical fantasies have compelled me to make an unexpected turn here. I want to explore the concept of how far we’ve come with fairy tales in the last two centuries. How gutsy our princesses have gotten. How true to life their story lines are starting to align with ours. I’m not just talking princesses here. Let’s call them what they’ve become; heroines. A personal calling to act with courage in the face of fear (often time to defend others) and to stand ground in defiance of any threat that looms. The heroines in Disney’s fairy tales have been letting their hair down…literally. Then they’re mounting their horses to gallop off in their mission to save the day. From Merida wielding a sword against her father Fergus to protect her mother, to Snow White leading the Duke’s army to wage combat against Ravenna, to Rapunzel’s heavy-handed, cast-iron frying pan and Queen Elsa’s marked ability in cryokinetic ice-blasting, the women are pulling their weight, ripping out their hairs pins, whisking off those tight elastic bands, and shaking those enviable tresses to lay siege. Just watch any movie. 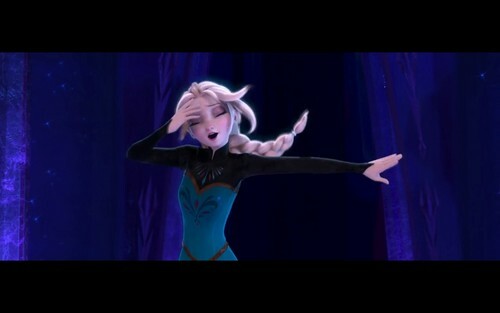 Observe Queen Elsa sing her heart out in “Frozen” and run her hands through her hair in the most memorable ascension to liberation and personal catharsis in film history. Caution; spoilers follow. Let’s start with Tangled. The original version told by the Brothers Grimm in the early nineteenth century showed us Rapunzel openly obliging the prince when he commands her to let down her hair so he can climb the tower. Never mind that she doesn’t know him, has never even met him. No wonder women were disillusioned. Old fairy tales led us to think there was nothing wrong in letting in a perfect stranger. Not even preparing us for the inevitable disappointment when he turns out to be a jerk. But modern fairy tales are now being filled with cads. Unprincipled scamps. Many of whom give the princesses a run for it. And the prince no longer comes from a castle. He’s now the nice, reliable guy you’ve come to trust, the one you’ve been blowing off for that other guy; you know the one; the unprincipled scamp who’s turning out to be a jerk. In today’s Frozen, Kristoff questions Anna’s judgment… “Wait, you got engaged to someone you just met that day?” That’s how far we’ve come. We actually make fun of the old stereotypes of fantasy storytelling. Yet the Grimm’s Rapunzel willingly and naively lets him up. 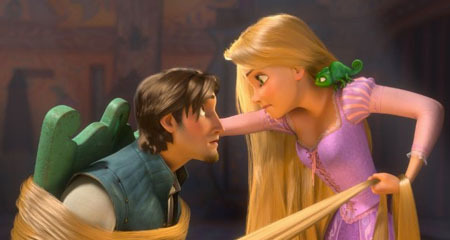 In the re-imagined tale told through Disney’s Tangled, Flynn Rider doesn’t get in that easily, not without having to answer for it. After stealing the tiara of the Lost Princess from a nearby Kingdom, he climbs Rapunzel’s tower while trying to flee from the Captain of the Guards. Little does he know what awaits him. 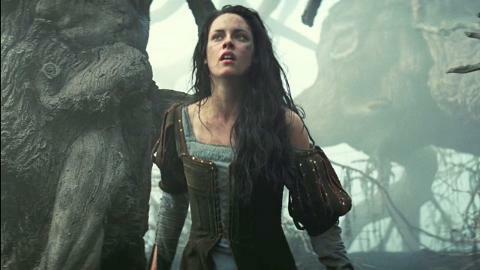 Two hundred years later, Disney introduces us to a fiery and playful young woman. He’s single-handedly knocked unconscious by a vigilant and vivacious blonde haired teenager, who, upon his awakening, reveals that she’s confiscated his satchel (containing the tiara) and will only return it to him if he promises to take her to see the floating lanterns. Rapunzel is not only bold and spirited, but a competent and clever negotiator. Then there’s Snow White. The original princess damseled herself guilelessly into biting a poisonous apple handed to her directly from the Queen, disguised as a peddler. In Snow White and the Huntsman, Snow White, (okay, she does bite the apple, but that’s only because the queen disguised herself as her friend William) is far from naive, and stands in blatant opposition to the Queen. After being imprisoned by the Queen Ravenna for several years, escapes the palace only to return with an army, her own horse, and in military pursuit to take back her family’s castle. She never begs the huntsman for her life, and allies herself to him in a strategy of survival. Queen Elsa, shedding the legal and moral constraints that have bound her, liberates herself by ripping out her hair clip, running her hands through her hair to loosen her military bun, and magically phasing-out her high-collard conservative apparel into a curve-hugging, shimmering gown (embroidered with the most exquisite detail any fashion designer, or girl, would envy) topped with a leg teasing slit to the knee. It is a character taking ownership of her true self and embracing an inner talent she was shamed into hiding from the world. Later, when Hans leads a search into the North Mountain to recover Queen Elsa, they find her in an ice palace, ready to forge a defense against their onslaught. As the Duke’s men attempt to surround her, she unleashes her cryokinetic powers on them, creating crystalized boulders and weapon-ed shards of ice to fend them off. Her sister Anna later does an impressive show of bravery when she throws herself in front of her sister so that Hans sword doesn’t reach her as he attempts to harm the Queen. But these achievements in the rising heroines belong not only to the women. They belong to humankind. Because these characters are really dealing with something that is larger than them. The lessons teach us fortitude and expression of the human spirit. It’s epic fantasy at its finest. The kind that I hope we can see more of in the future.